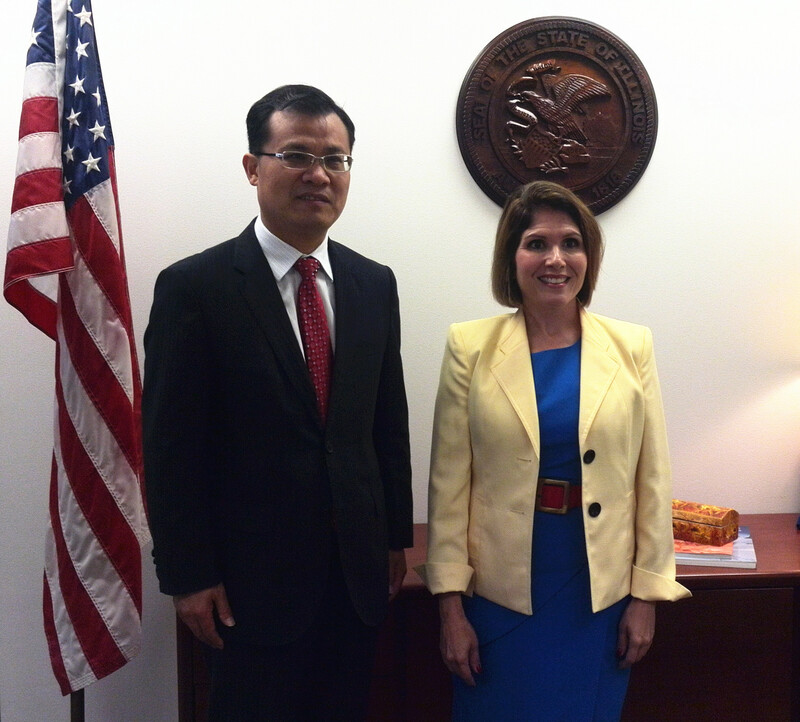 On August 7, Mr. Zhao Weiping, Chinese Consul Gerneral to Chicago, met Evelyn Sanguinetti, Lieutenant Governor of Illinois at James R. Thompson Center in Chicago. They talked about coopertion in various areas such as education, trade and environmental protection between China and the State of Illinois. Mr. Wang Yong, Deputy Consul General, was present at the meeting.